Eriez Europe has provided a one-stop custom solution to St. Margarets Metal Recycling and Transfer Centre Ltd. metal recovery problem within their scrapping process. Eriez designed and manufactured a dual-pass Eddy Current Separator (ECS) module that will allow for optimum separation of ferrous and non-ferrous metals. St. Margarets is a large recycling centre with a metals division, specialising in the buying and selling of scrap metals, including high carbon steel, stainless steel, aluminium, brass, copper, lead and zinc. 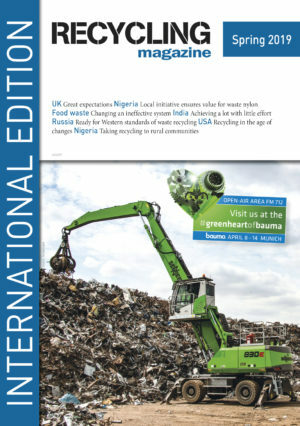 They approached Eriez with the requirement to separate ferrous and non-ferrous metals from automotive shredder residue (ASR) to increase the purity of their end product and command the highest possible resale value. Given Eriez’ vast knowledge of metal separation and decades of experience in the recycling industry, a custom solution was recommended. The six metre high module includes a vibratory feeder, magnetic drum separator and two 1.5 metre wide Eddy Current Separators. 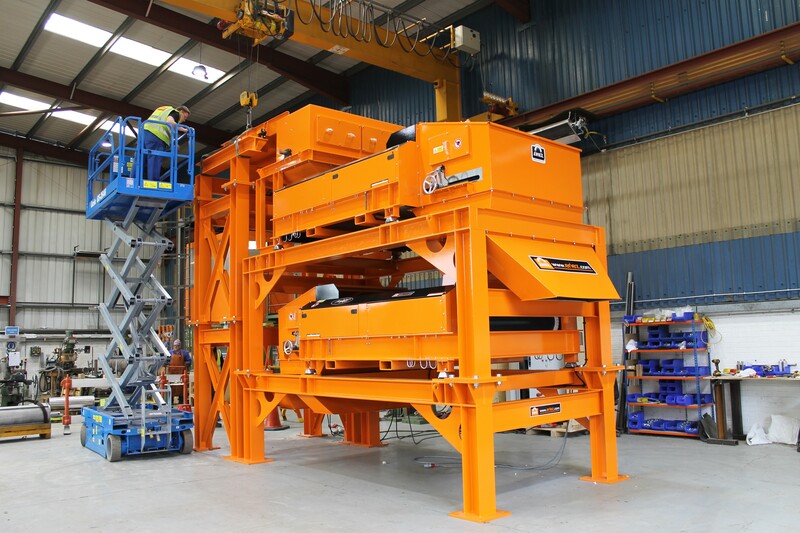 The vibratory feeder ensures an even, mono-layer spread of material to maximise efficiency and improve separation before it is fed into the permanent magnetic drum separator. Here the larger pieces of ferrous metals are recovered before the material passes through the conveyors on the Eddy Current Separators separating the valuable non-ferrous metals from the ASR. A dual-pass process where the material passes through a second Eddy Current Separator optimises metal recovery, providing a clean, high-quality end-product. The unit has now been despatched to Dublin and is awaiting installation in St. Margarets Recycling Centre. On the site of the waste management company Wurzer Umwelt GmbH in Eitting, Lindner presented shredders and system solutions for the efficient production of fuels in accordance with ISO 17225-1 at the "Altholztage 2019".